January is a great time to take a look back at the previous year before diving into the next one, isn’t it? It gives us some perspective on what actually happened over the course of the last 365 days, if we accomplished our goals, and helps us define the shape we’d like the next one to take. I’ve enjoyed doing this in both my personal life and for my business, and rather than trying to look at everything at once (hello overwhelm! ), I tend to focus on one facet at a time. In my business, one of those facets is this blog. I’ve been writing a blog for about six years now - about three of those years have been under the Mix & Match Design Company name - so its safe to say I love sharing here in this format! Being able to reveal e-design client projects, talk about decorating tips, tricks, and ideas, and pass along my favorite finds is a really wonderful way to connect with y’all. No matter if you’re new or have been around since the beginning, thank you for reading. I’m truly grateful! As I took a look back at the past year’s posts, it was fun to find out what your favorite posts were (based on the number of views!) and I thought I’d share the top 10 with you today! If something catches your eye, feel free to click on over to the full post to read it. Also, I’d love to know what you’d like to see in 2019! Are there specific kinds of posts you love? A particular series you want to see again? Something you’d like to learn about? Let me know in the comments here, on Instagram, or over on Facebook! 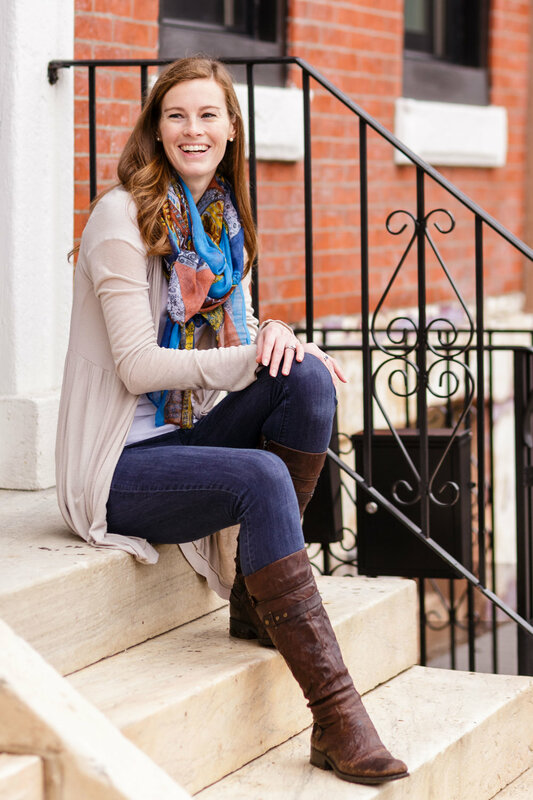 Your input is extremely valuable to me and I want to make this blog the very best it can be. One trend I noted from looking through the most popular posts in 2018 is that y’all love to read design and decorating tips. You’ll see that reflected in the list I share today, and one of those posts was about one of my favorite topics - using benches in your home! They’re such versatile pieces of furniture, aren’t they? They work well in so many different spots and give a ton of functionality for just a teeny little bit of space! That’s a pretty killer combination, isn’t it? Considering this post went live at the end of November and broke the top 10 for the entire year, I’d venture a guess that y’all love this project as much as I do! This coastal California style breakfast nook was an awesome collaboration between me and the client. We worked together to design and style this bright spot adjacent to her kitchen, and I’m a huge fan of the final product! We live with this issue in our own house (that’s a view of our entryway in the photo above) and two of my final e-design projects for 2018 involved this dilemma, so I know it’s a common one! Creating an organized and functional entryway out of a small stretch of wall by the front door can be a challenge, but it’s totally doable. Head to the post to read about my ideas and suggestions for making it work. Though I only published one of these “look for less” posts last year, I’m definitely planning more for 2019. Y’all were big fans of it when it went live (especially when I shared my finds on Instagram) and I’ve already found some great pieces to share in the next edition. Now, one note is that I’m not saying you should always buy the less expensive option - there’s a time to invest and a time to save for sure - but it’s fun to see the different options at different price points, isn’t it? I love a good how-to guide - especially when it comes to tricky subjects. Choosing the right curtains, blinds, or shades for your home definitely falls into that category, and I hope that this two part series helps you as you navigate that world! I talk through ready-made options as well as custom, when you should consider one kind of window treatment over another, and lots of other important things to consider. I’m cheating a little bit on this top 10 post and combining a bunch of posts from the What Caught My Eye series into one, but I can definitely say that several of these posts made their way to the top of the list. 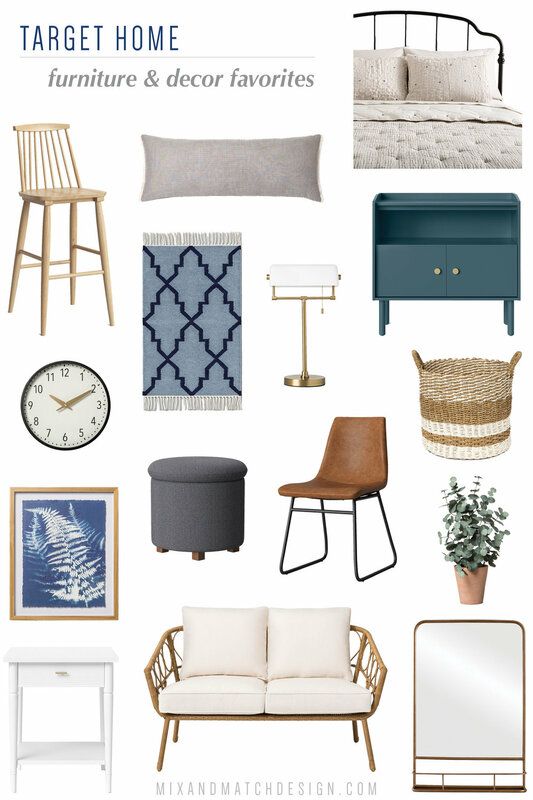 In case you aren’t familiar, in this series, I round up a bunch of favorite pieces of furniture and home decor to share with you from one particular retailer. The idea is to share what’s new and lovely from that shop, as well help you find new things that are a good fit for your home. A few of your faves included Target, Amazon Home, Home Decorators Collection, and World Market. I started the series up again last week and kicked it off with Target once again! This e-design project included a huge floor plan change to make room for a new kitchen, butler’s pantry, and living room, but the results were well worth it. 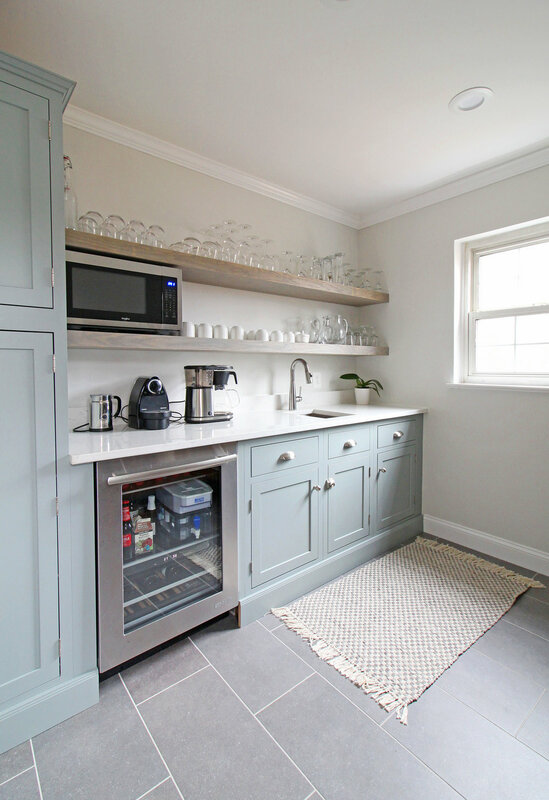 We opened up a wall, put the new kitchen in where the dining room used to be, and transformed the old, tiny kitchen into a super functional and beautiful butler’s pantry/mudroom (the image you see above is of that space). A year later, I still get tons of questions about this kitchen and butler’s pantry - particularly regarding the cabinets. Definitely take a spin through the post if you’d like to learn more about this project! 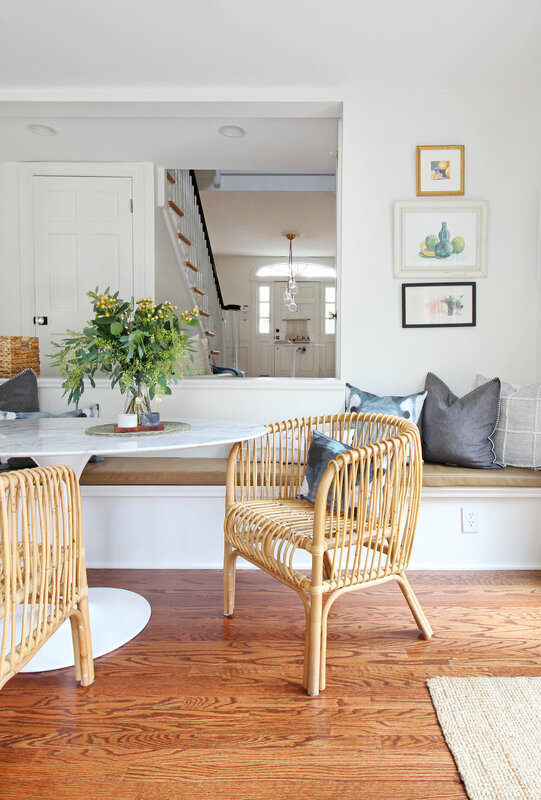 When you live in a small home, it can be tricky to figure out how to design it so that it balances style with function, but as you’ll learn from this post, I think you can have both! 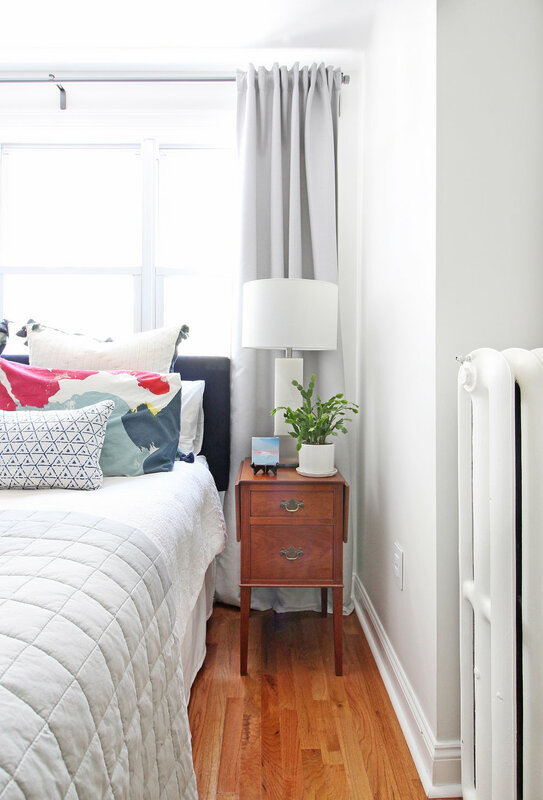 It's all about making the most of the space you have, choosing pieces that work smarter and harder, and leaving some breathing room (aka "white space"). 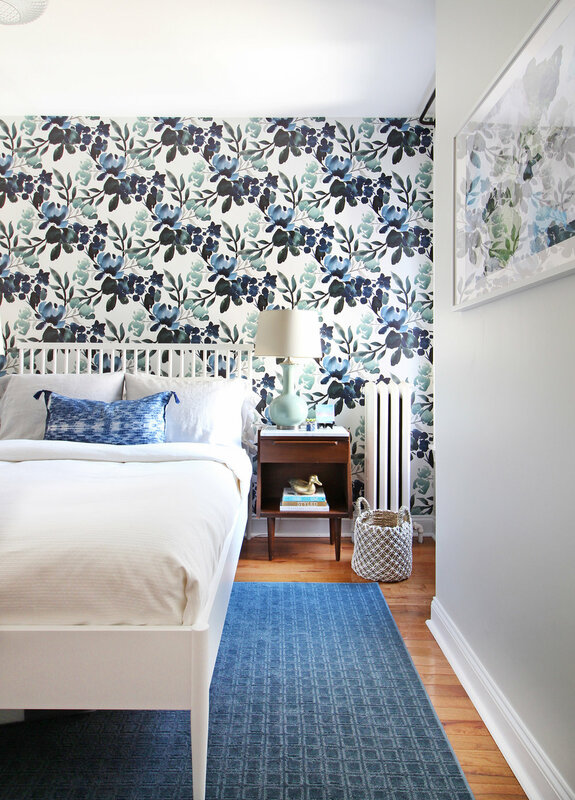 I’ve worked with a lot of folks who live in small spaces and our home is definitely on the smaller side at 1200 square feet, so I’m well versed in some good strategies to make your home work well for you and be beautiful! We’ve reached number one in this top 10 countdown, and guess what, I’m cheating once again and combining a bunch of favorites from the Get the Look series into one! I think it’s totally ok since so many posts made the list. This series has evolved over the past year or so, but the underlying theme is that I design a room for you based on a particular style and then share the sources with you so that you can put the same look together in your own home. It’s fun for me because I get full creative freedom and can give you a taste of what e-design might look like if we worked together! So there you have it! Your top 10 blog posts from 2018! I definitely had a blast looking back and seeing what your favorites were (they were some of mine as well!). Don’t forget to let me know what you’d like to see here in the next 12 months!